What are Medical Marijuana States? The State of Alaska allows for a maximum amount of Medical Marijuana valued at $25 USD with regard to the possession of an authorized individual; as of 2010, Alaska has been considered to be amongst the list of Medical Marijuana States. The State of Arizona allows for a maximum amount of Medical Marijuana valued at $150 USD with regard to the possession of an authorized individual; as of 1998, Alaska has been considered to be amongst the list of Medical Marijuana States. The State of California allows for a maximum amount of Medical Marijuana valued at $66 USD with regard to the possession of an authorized individual; as of 1996, California has been considered to be amongst the list of Medical Marijuana States. The State of Colorado allows for a maximum amount of Medical Marijuana valued at $90 USD with regard to the possession of an authorized individual; as of 2000, Colorado has been considered to be a Medical Marijuana State. The District of Columbia has been considered to be a Medical Marijuana District since 2010. 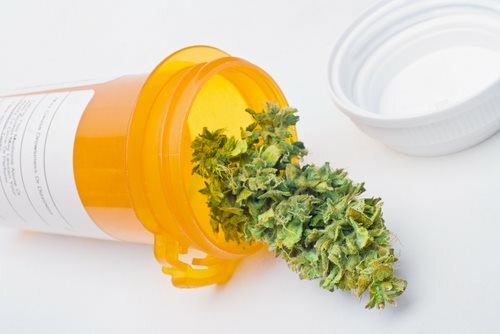 The State of Delaware allows for a maximum amount of Medical Marijuana, which varies; as of 2011, Delaware has been considered to be amongst the list of Medical Marijuana States. The State of Hawaii allows for a maximum amount of Medical Marijuana valued at $25 USD with regard to the possession of an authorized individual; as of 2000, Hawaii has been considered to be amongst the list of Medical Marijuana States. The State of Maine allows for a maximum amount of Medical Marijuana valued at $100 USD with regard to the possession of an authorized individual; as of 1999, Maine has been considered to be amongst the list of Medical Marijuana States. The State of Michigan allows for a maximum amount of Medical Marijuana valued at $100 USD with regard to the possession of an authorized individual; as of 1998, Michigan has been considered to be amongst the list of Medical Marijuana States. The State of Montana allows for a maximum amount of Medical Marijuana valued at $25 USD with regard to the possession of an authorized individual; as of 2004, Montana has been considered to be amongst the list of Medical Marijuana States. The State of Nevada allows for a maximum amount of Medical Marijuana that varies with regard to the possession of an authorized individual; as of 2000, Nevada has been considered to be amongst the list of Medical Marijuana States. The State of New Jersey allows for a maximum amount of Medical Marijuana valued at $200 USD with regard to the possession of an authorized individual; as of 2010, New Jersey has been considered to be amongst the list of Medical Marijuana States. The State of New Mexico allows for a maximum amount of Medical Marijuana that varies with regard to the possession of an authorized individual; as of 2007, New Mexico has been considered to be amongst the list of Medical Marijuana States. The State of Oregon allows for a maximum amount of Medical Marijuana valued at $100 USD with regard to the possession of an authorized individual; as of 1998, Oregon has been considered to be amongst the list of Medical Marijuana States. The State of Rhode Island allows for a maximum amount of Medical Marijuana valued at $75 USD with regard to the possession of an authorized individual; as of 2006, Rhode Island has been considered to be amongst the list of Medical Marijuana States. The State of Vermont allows for a maximum amount of Medical Marijuana valued at $50 USD with regard to the possession of an authorized individual; as of 2004, Vermont has been considered to be amongst the list of Medical Marijuana States. The State of Washington allows for a maximum amount of Medical Marijuana that varies with regard to the possession of an authorized individual; as of 1998, Washington has been considered to be amongst the list of Medical Marijuana States.